Following our visit to Cambridge as I have blogged here, Kevin my good mate from office and I planned to make a visit to Oxford. What was initially conceived as a 2-3 member trip eventually ended up being a very enjoyable trip last Sunday with about eleven from office in attendance. We took the 9.35 train to Oxford from Paddington and reached Oxford in about an hour. We started walking around, the city centre in the gorgeous Oxford sunshine, most of the Oxford Colleges were closed so we walked leisurely in the streets until we came to a park (which belonged to one of the colleges), there was a stream going through the park and most interestingly there was a little fenced area where bees were kept. The hives where the Bees are kept. 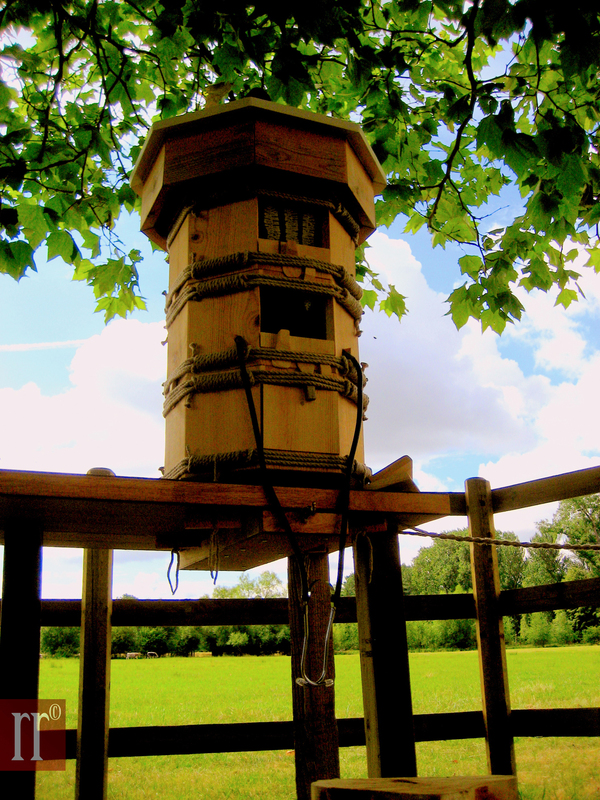 These hives were custom made and concealed in such a way that the bees could cause no harm to the observers who could appreciate the operations that took place inside the hive. Stethoscopes were set to these, so the humming of the bees inside the hives which reflected a lot of activity could also be heard, to be honest listening to nothing but the intense activity of the bees and visually scrutinizing the happenings inside the hive does take one to a total different level of senses where absorption of the rest of the world comes to a temporary virtual standstill. 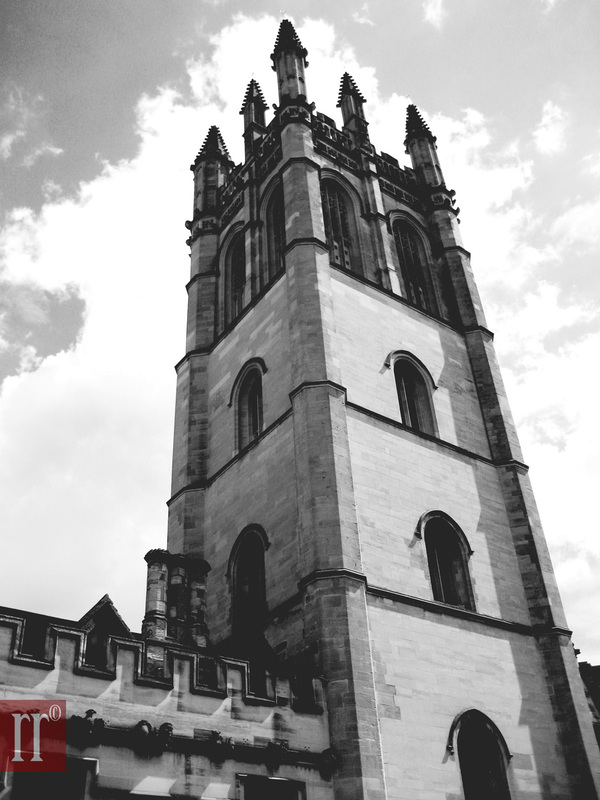 Further periods of walking ensued, and after getting lost inside sweet shops we came to Carfax tower which is supposedly the tallest tower in Oxford city. 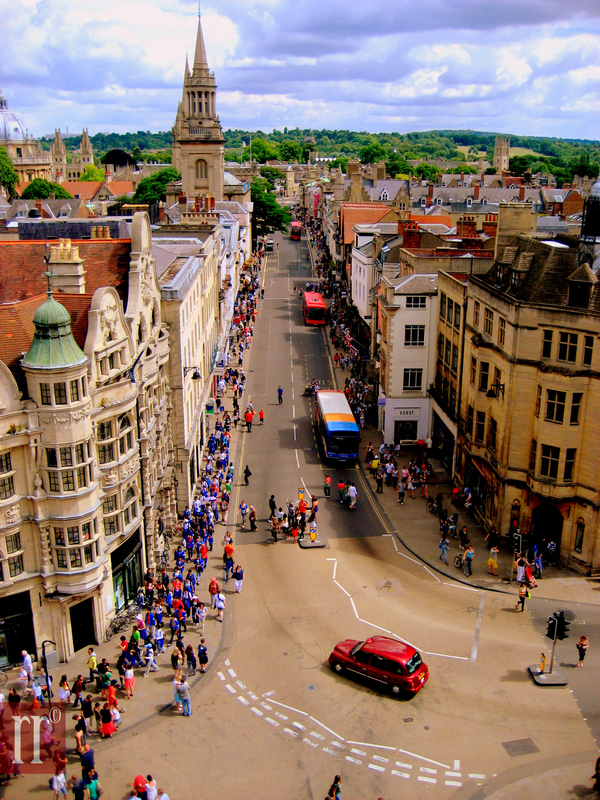 There are building regulations stipulating that no building in Oxford city can exceed the height of Carfax tower, possibly to retain the prestige of Carfax tower being the tallest building in Oxford. Of course one evident drawback of this building regulation is that when one peruses the horizon from the top of the tower there are a few buildings which are of the same height as Carfax tower and offer a rather distasteful disruption of the otherwise beautifully monotonous horizon. 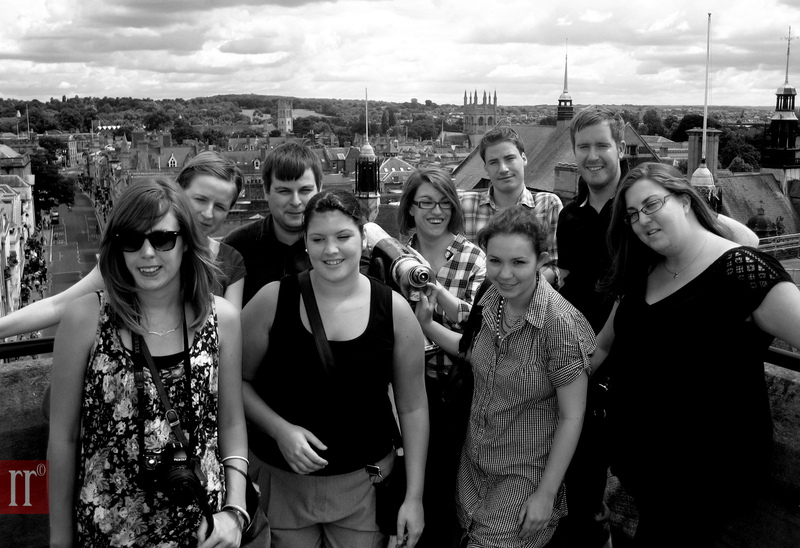 We climbed the ninety nine steps of Carfax tower for a ticket price of £2.20 and spent some time at the top of the tower taking photographs and just looking around. Something else rather interesting was happening just outside the base of carfax towe, yes! you guessed it right! there was a man playing the pipes and besides him was a singing dog! quite the spectacle the duo were, I have to say. 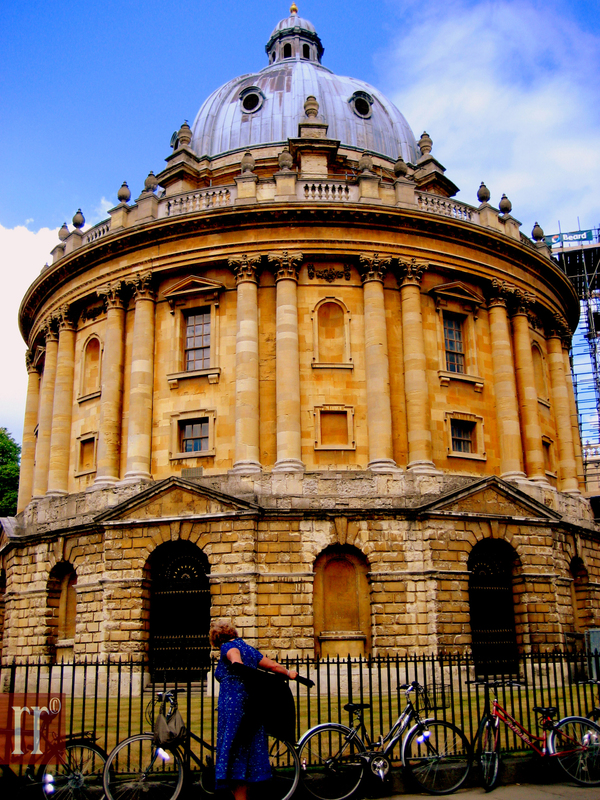 We then walked through the university passing a few more colleges and other buildings including the Radcliffe Camera, designed by James Gibbs in the English Palladian style and built in 1737–1749 to house the Radcliffe Science Library. 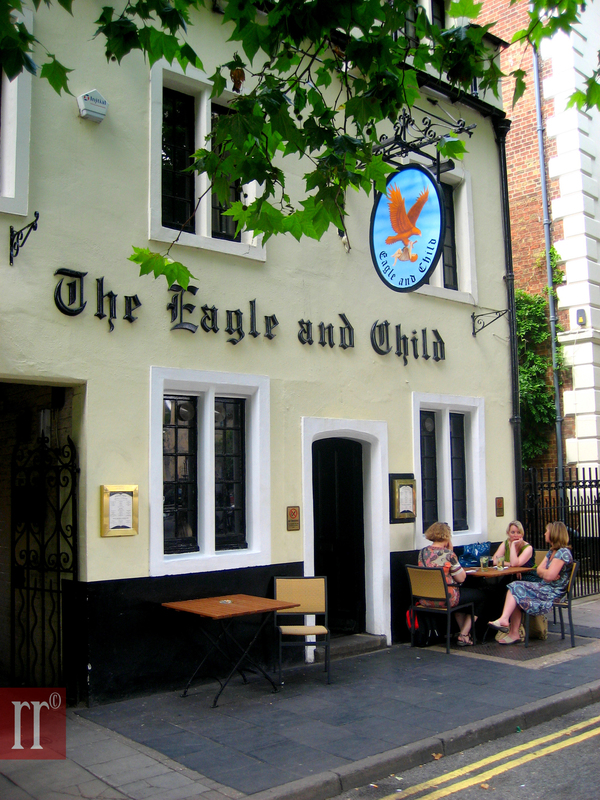 Having done a fair share of walking we walked to a pub called the Eagle and Child, where I had a really filling portion of Scampi and chips whilst the others had different choices of their taste. 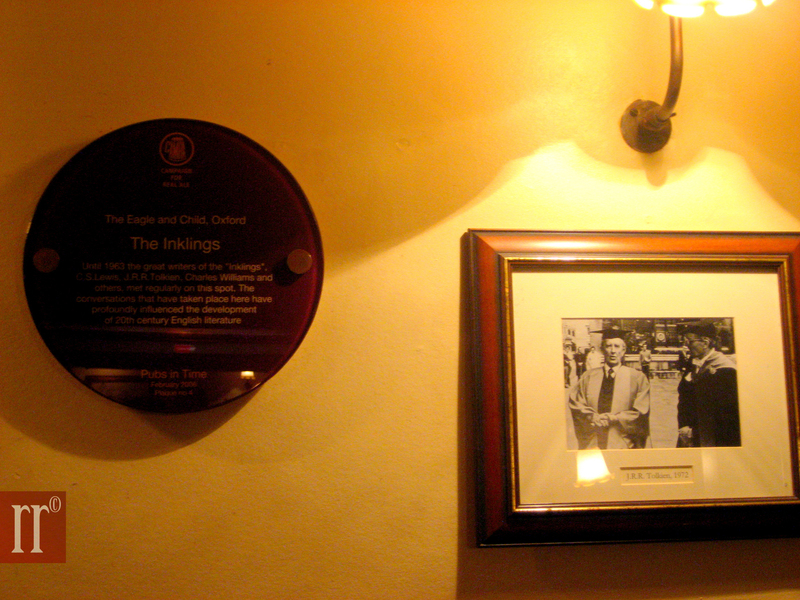 Interestingly, J.R.R Tolkien of Lord of the Rings fame used to hang out in this pub and it is said that the idea for Lord of the Rings was conceived here. 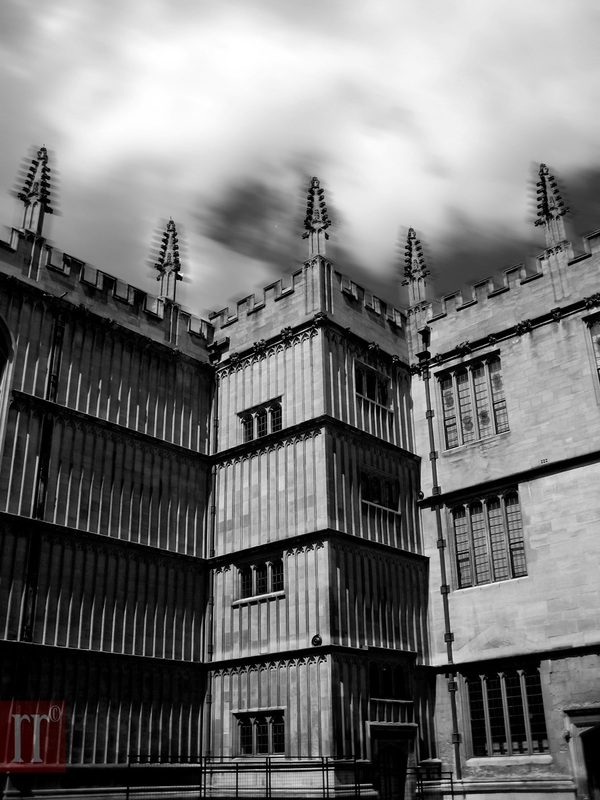 Even more interestingly, Tolkien is said to have remarked that the Radcliffe Camera resembled Sauron’s temple to Morgoth on Númenor. After lunch we walked back towards the university after a brief stop at St. John’s College, more about that with a panoramic image in a different post. From the beginning of the trip the buzz word was punting, and punting we went. Kevin, Paul, another mate of ours and I decided to punt and the others well girls really blissfully sat down while we the boys navigated the boats down the stream. It was rather difficult at first with all three of us being first time punters, when Kevin and I punted in Cambridge we had a chauffeur who took us in a boat. We did have trouble manoeuvring it the first time, but we soon almost never got the hang of it, but still one of the most enjoyable experiences I have had in the past few years with a lot of laughs shared between the three boats. 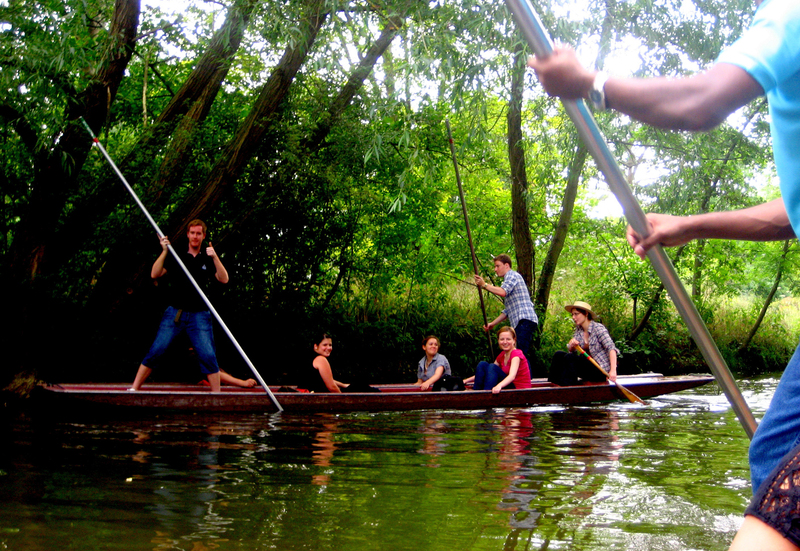 Punting, yes that’s me in the foreground punting my boat.